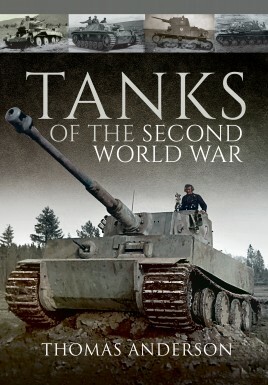 In this book, the author chose to go back in time and start with the development of the tank in the First World War and its usage. One of the strangest designs we see is a picture of the Russian 'Lebedenko Tank', if you could call it one. In reality, it looked like a huge tricycle in reverse. It had two massive front wheels that were connected to a small wheel and motor in the back. Had the engines of the time been able to produce more horsepower, who knows where this concept and other strange ones might have led? The book then goes into the interwar period, with a lot of emphasis on the Spanish Civil war. This war was used as a test bed for most of the European powers to try their armaments and tactics out on living subjects. The interwar period saw designers go both large and small with tanks. Some countries developed huge multi-turreted land battleships that had the agility of a ruptured beetle, while other countries worked mostly on tiny tankettes. They could speed across the terrain so that the occupants could rush to their demise enveloped with armor slightly thicker than a tea kettle or several sheets of Reynolds Wrap. The world had the tank, but what to do with it? The interwar period also saw a huge amount of printed material in all countries purporting to show the 'correct use' of the tank. The only problem was that they all contradicted themselves. One of the most proficient designers was the American, John Christie. The Christie tanks didn't make him much money at all, but they were the sires of many British and Russian subsequent designs. Each chapter goes through the major, and sometimes not so major, designs of the period in question. The book also comes with an interesting 'bulls-eye' design for the comparison between the different World War II tanks. It is a cross-hair where each arm is labeled armor, speed, engine to weight ratio, and penetrating power. The different tanks shown down through the years and all of the various comparisons remind me of an adage attributed to various famous fliers: 'It is the man, not the machine'. This book is a great one for tank newbies, but also for us unofficial tank gearheads. The book is filled with many wartime photos, but also shows many one of a kind tank designs. So through the book you really get a sense of the sometimes halting design path to nowadays main battle tanks.